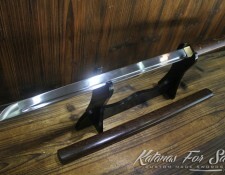 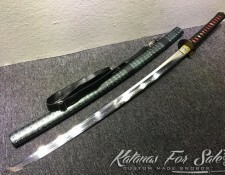 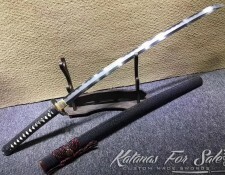 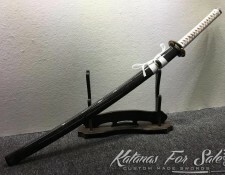 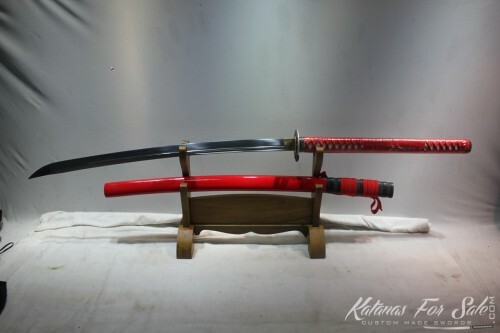 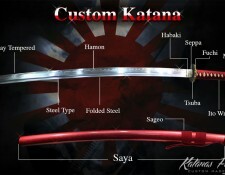 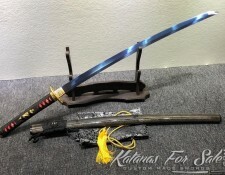 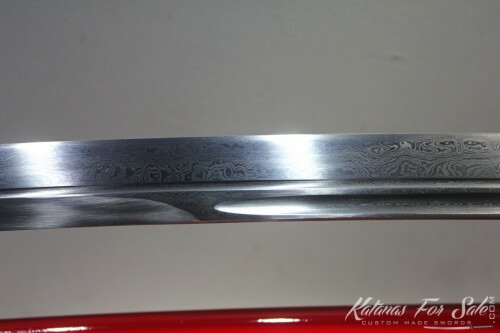 Categories: Folded Steel, T10 Tool Steel, Naginata For Sale, Nagamaki For Sale. 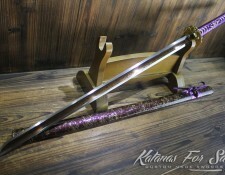 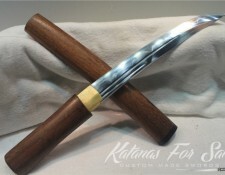 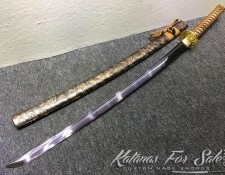 The blade of the sword has been constructed by forge folding, creating a look similar to the lost Damascus Steel folding technique. 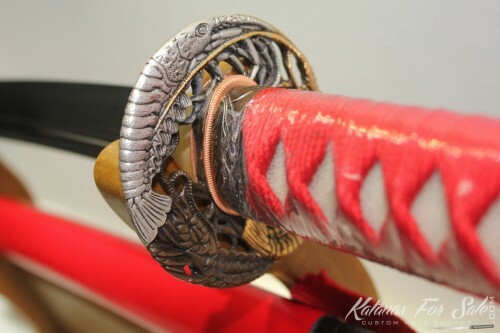 By hand the sword smith painstakingly stacks and forges individual layers of steel. 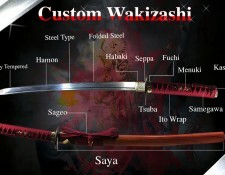 It has been folded a total of 13 times, which created 8192 layers. This technique can be easily seen by the unique grain pattern of the steel on the blade. 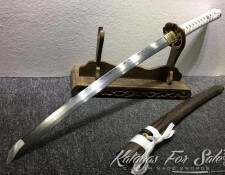 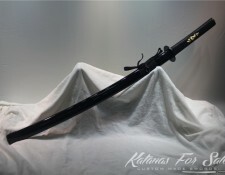 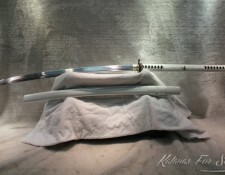 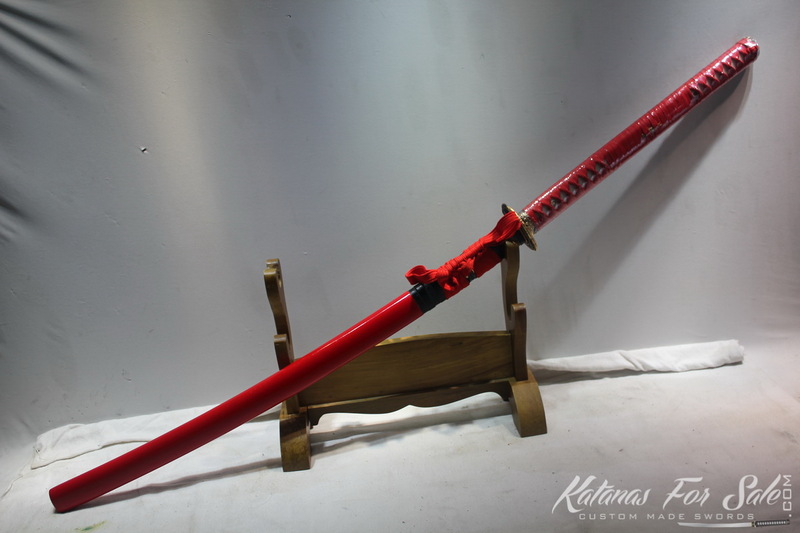 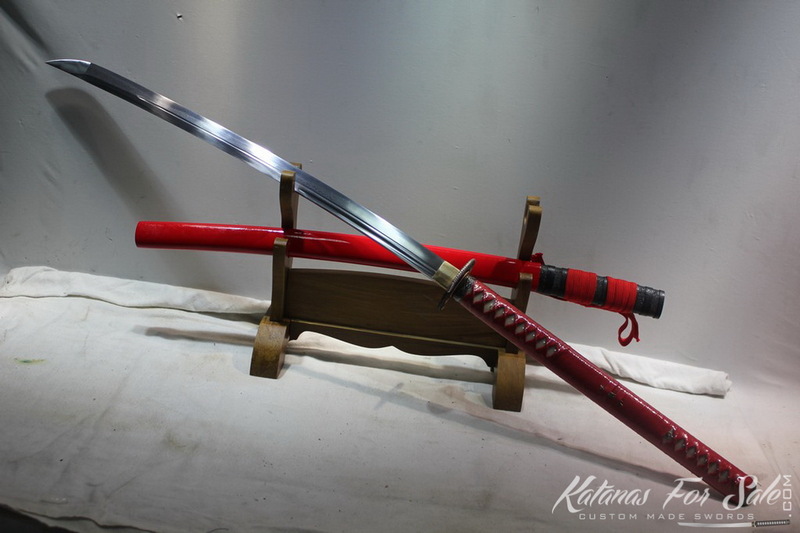 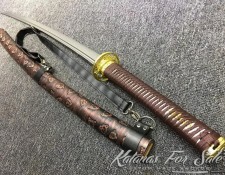 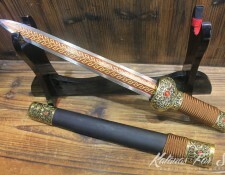 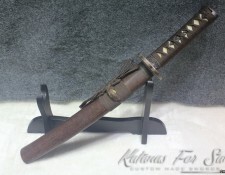 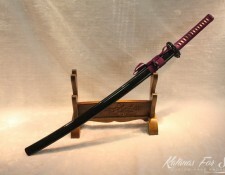 It is fully hand forged and every aspect of the sword has been created authentically. 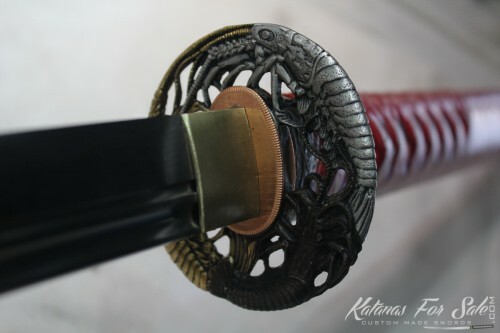 The blade also features a Bo-Hi (groove) for better balance and an audible feedback when the sword is swung. 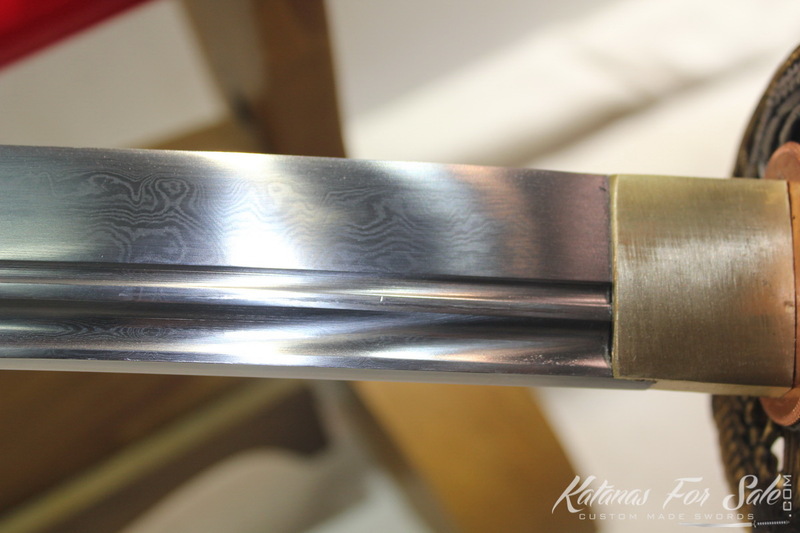 The Kissaki is medium with a well defined Yokote. 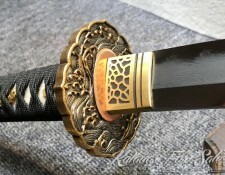 The sword is full tang and comes very sharp. It can be used for drills, practice or target cutting. 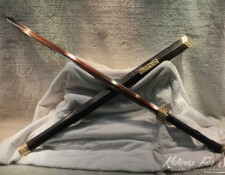 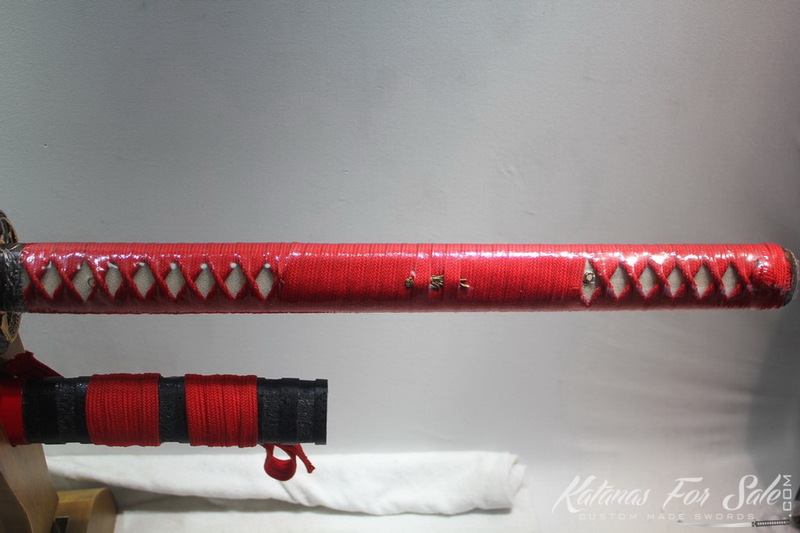 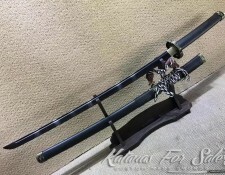 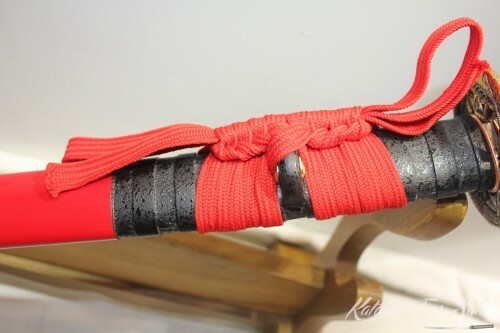 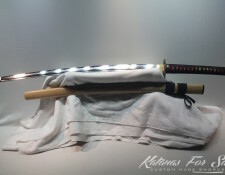 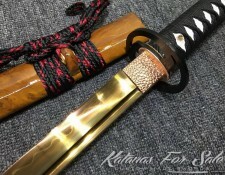 Blade: The blade of the Naginata has been constructed from the Pattern folding technique. 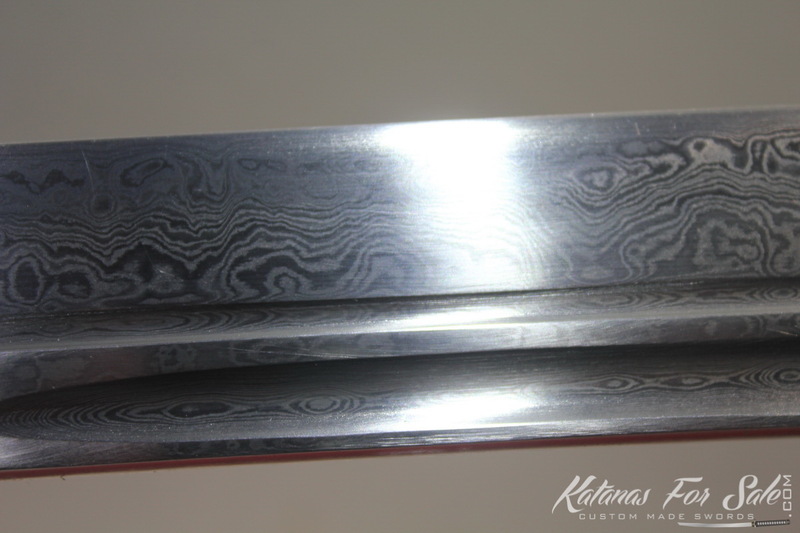 The steel has been folded 13 times creating 8192 layers and this can be seen by the unique grain pattern on the blade. 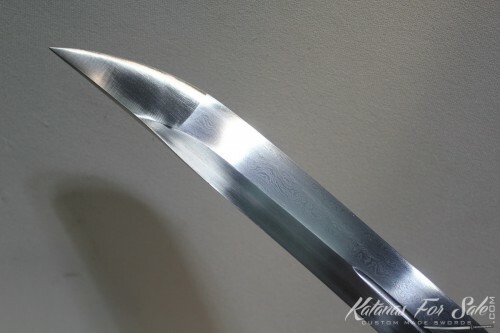 Blade is fully functional and razor sharp. 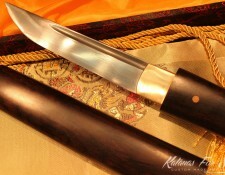 It has been sharpened by the traditional 12 stage sharpening work. Test cutting proved that it can be used for test cutting such as bamboo / tatami mats / water bottles. 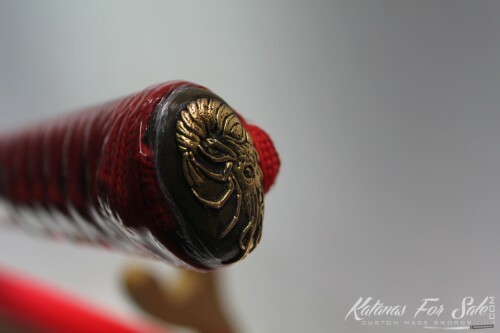 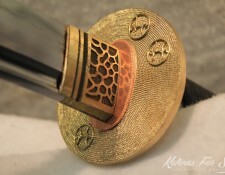 Handle: The Japanese Shrimp tsuba is high quality copper and the matching fuchi kashira (collar and end cap) are also high quality copper. 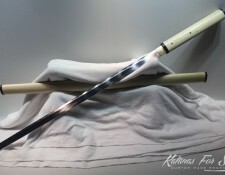 The handle has been constructed from authentic white ray skin and hardwood wrapped by white silk ito and secured by two bamboo pins.